For cute summer outfits check out Dreamspun trendy kids clothing! You can pick from an array of styles like tanks, ruffle shorties, halter tops, dresses, skirts and gaucho pants. Or grab a cute Giggle Moon swing set or other Giggle Moon outfit... or two, or three... all for only half of original price! 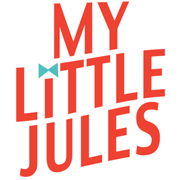 Whatever trendy kids clothing you are looking for, you are sure to find it at My Little Jules boutique! Stock up cute boutique girls clothing for loads of summer fun during our 59% Spring Clearance Sale! All orders of $79+ ship for free in the US and Canada. Layaway options are also available with MLJ Easy Payment Plans: only 15% down and take up to 8 weeks to pay. Learn more here.